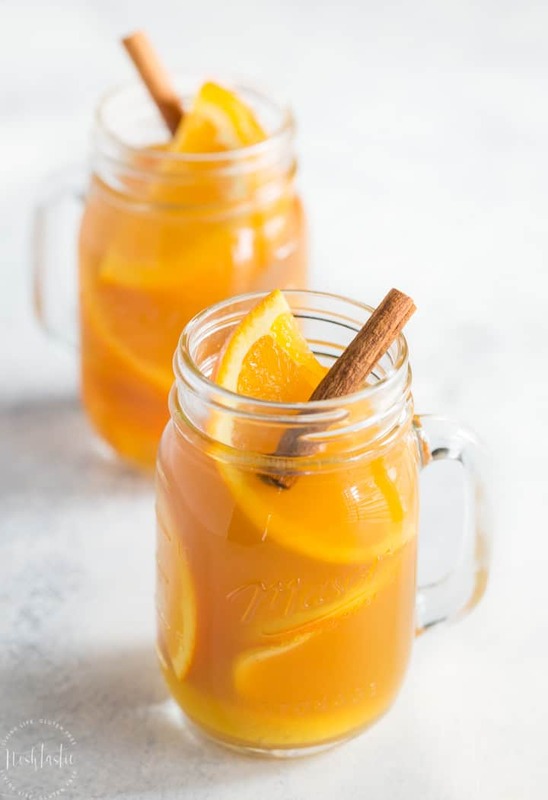 My Hot Apple Cider Recipe is very easy to make from scratch on the stove in a matter of minutes, or you can add the apple cider, cinnamon, cloves, ginger, oranges and lemon to your crockpot or slow cooker and let it simmer in for a few hours! I think Hot apple cider is perfect any time of the year but it comes into its own during the Fall when apples are at their peak and pumpkin pie spice is everywhere! 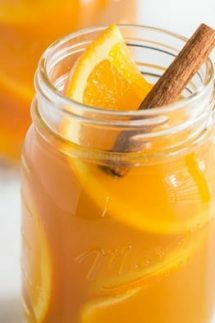 Having said all that, I think Mulled apple cider is perfect all winter long and especially around the holidays as the smell of the hot apple cider and the warming spices make my house smell delightful! Ok guys, this is such an easy recipe and you really can’t go wrong with it! 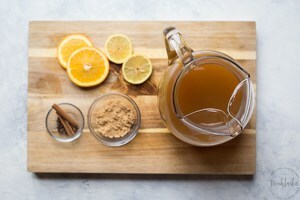 The ingredients for my hot apple cider are shown in the photo below, they are apple cider, orange and lemon slices, brown sugar, cinnamon sticks, cloves and all spice berries. The first thing you need to do is decide whether you are going to make this in a slow cooker or if you are going to make it on the stove. The nice thing about using a crock pot is that your mulled apple cider will stay warm and you really don’t need to worry about leaving it on the stove unattended. If you want to make if faster then the stove top is the way to go! All you need to do is add the apple cider, orange and lemon slices, brown sugar, cinnamon sticks, cloves and all spice berries to a large wide pan and bring it all to a simmer on the stove and after ten minutes or so, remove the spices. If you have a piece of muslin cloth you can make a little bag to hold the spices with some kitchen string, but it’s really not a huge deal if you don’t have that just as long as you remember to remove all the spices afterwards before spooning the hot apple cider into glasses to serve. 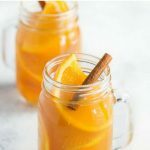 Quick and Easy Hot Apple Cider spiced up with cinnamon, cloves, ginger, oranges and lemon, it's perfect for the holidays! 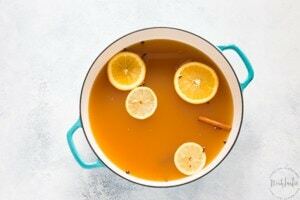 Pour the apple cider and sugar into a pan along with the lemon and orange peels. Put the cinnamon sticks, cloves, allspice berries in the center of a washed square of cheesecloth and tie it with a piece of kitchen string and add to the pan. If you don't have muslin you can just drop the spices directly in the apple cider. Place the pan over moderate heat for 5 - 10 minutes, or until the cider is simmering but not boiling. Remove the cider from the heat and take out the muslin with the spices and the peel, or skim out all the cloves and cinnamon sticks and all spice berries if they are not in muslin. 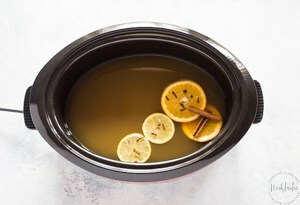 Pour the apple cider, sugar, lemon and orange peels, and the spices into the slow cooker and simmer for a couple hours on low. You can serve it hot directly from the crockpot, remove the spices and peel after a couple of hours.